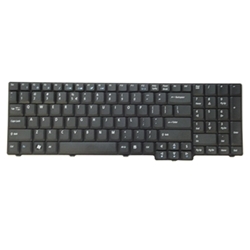 Description: New Acer TravelMate laptop replacement keyboard. US Version. Part #'s: KB.INT00.105, KBINT00105, 9J.N8782.E1D, 9JN8782E1D, NSK-AFE1D, 4H.N8701.031. Acer Extensa 5235, 5635, 5635G, 5635Z, 5635ZG, 7220, 7620, 7620G, 7620Z. Acer TravelMate 7320, 7520, 7520G, 7720, 7720G.